The Cambridge Dictionary defines enthusiasm as: “A feeling of energetic interest in a particular subject or activity and a desire to be involved in it, or a subject that produces such a feeling.” As a parent and a homeschooler, you have an “energetic interest” in your child’s education. You want them to succeed and experience the best, most inspiring educational experience in the world. But homeschooling is a tough job that not only brings joy but also trying times. There will be “stressful” moments and your enthusiasm will wane at times. 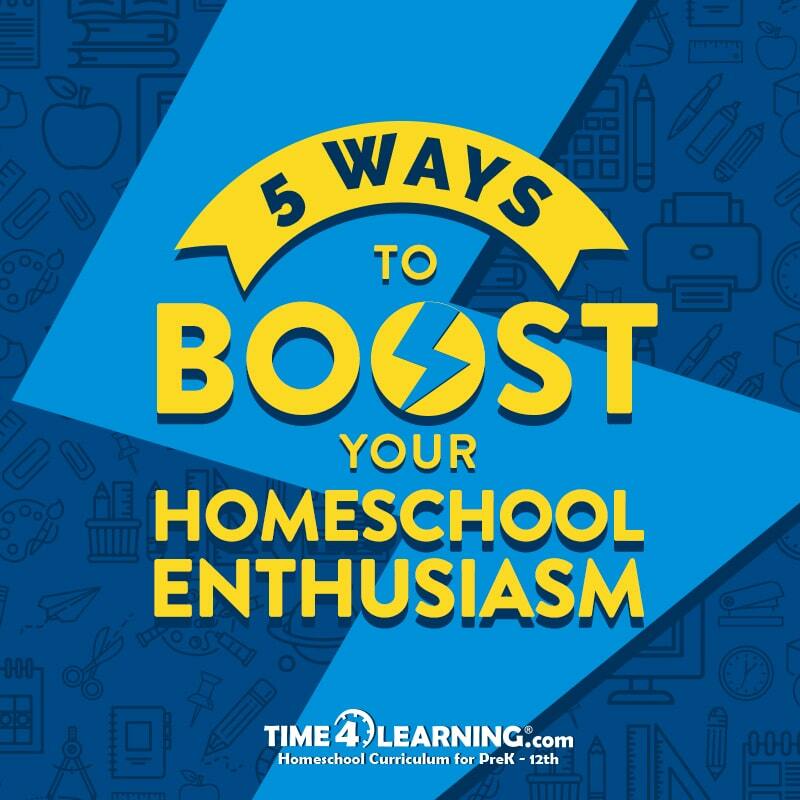 But you can harness the same power that enthusiasm possesses in your everyday homeschool classroom. You have the passion and you know your purpose for homeschooling your children. Once you convey your passion and show your children how enthusiastic you are about teaching them, they will also become enthusiastic. It’s a natural occurrence. Here are 5 tips to boost everyone’s enthusiasm when energy levels drop, including yours! The goal of eclectic homeschooling is to create a specialized educational experience for each child based on their strengths, learning styles, and interests. It’s really like experimentation. You pick and choose different curricula based on what works best for your child. An eclectic approach may include online learning courses, workbooks and textbooks, courses at local schools, mentors and tutors, and various other curricula. It’s a winning medley or recipe that matches your child’s needs. Children of all ages enjoy hands-on activities and they can help bring lessons and concepts to life. So instead of reading about how the pilgrims grew their food, you can plant your own garden. The experience not only brings knowledge, it also provides a life lesson. The activity ideas are nearly endless. Just find out what interests your children, use your imagination and begin. You can build model cars, sew or knit, learn to use a camera, craft, etc. Some children thrive on a set schedule (and so do some parents). But if you find that your daily routine has lost its luster and your enthusiasm is suffering from it, try mixing things up. Meeting with your child on a regular basis to see if they are enjoying and engaged in their education is important. You should have monthly sit-downs to discuss the curriculum, courses, and schedule. Many parents find that including their children in the educational process lets them feel empowered and more confident. They want to be heard and take part in your decision making. Including their ideas will also help make your job easier. Field trips are a great opportunity to teach your children about a number of things. For example, a trip to the beach or lake allows students to learn about the local environment. They can collect rocks or shells, and take pictures or sketch drawings of the plants and flowers they see. Other ideas include visiting museums, joining a homeschool group on day trips, even asking a local business if you can visit their establishment to learn what they do and how they serve the community. Once you walk out of the house, the world is one big learning opportunity. You’ve decided to homeschool your children for a reason, and now that you’ve made that decision, whether you’re a first-time homeschooler or a veteran, you want to give 100 percent. But as the adage states, nothing worthwhile comes easy. Your enthusiasm will wane at times. It’s just a matter of believing in what you’re doing and how important your time with your children really is during the school year. 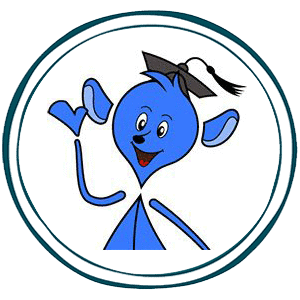 Time4Learning.com is an award-winning, comprehensive curriculum for PreK-12th that makes learning effective and engaging through animated lessons and activities. The online program teaches and grades lessons, tracks and records progress, and keeps reports to help simplify homeschool portfolios. For over a decade, Time4Learning has helped more than 500,000 homeschooling families with its flexible and engaging curriculum, homeschool resources, and more. Our team of homeschool moms, homeschool dads, and support staff have come together to create helpful homeschool insights on subjects such as family, education, fun, and more!